I was recently asked a question about whether it was acceptable to use a hook without a safety latch and if so was this not in contravention of section 4 of Driven Machinery Regulation 18 from the Occupational Health and Safety Act. The answer like most scenarios in the Lifting and Rigging industry is more complex than a simple yes or no answer. 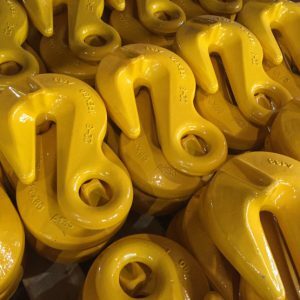 Anchor Industries does not xstablish recommendations for when a hook latch is required, these are outlined by the OHSA, the application, product standards and industry practises. 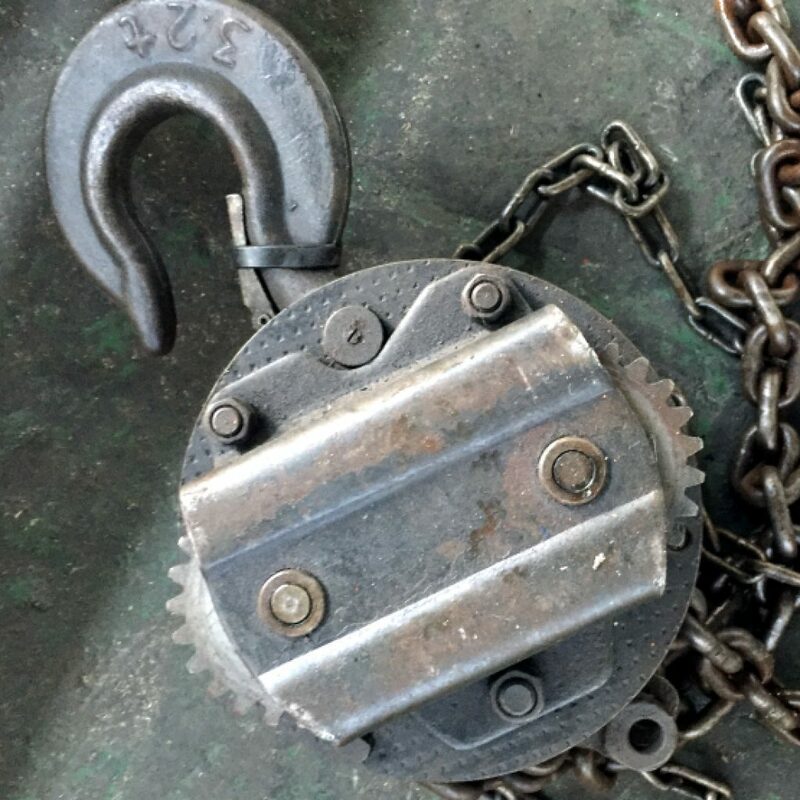 The user shall cause every hook or any other load- attaching device that forms part of the load path of a lifting machine or hand-powered lifting device to be so designed or proportioned that accidental disconnection of the load under working conditions cannot take place. 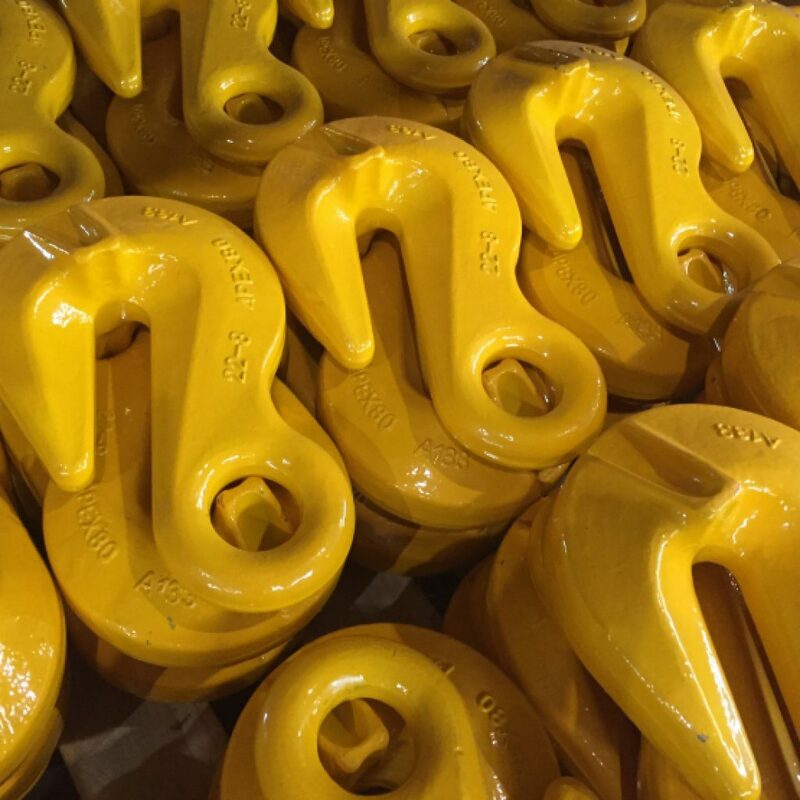 This means that every hook or load-attaching device that forms part of the lifting machine under stress during the lifting operation must be designed such that the load cannot be accidentally disconnect under working conditions. 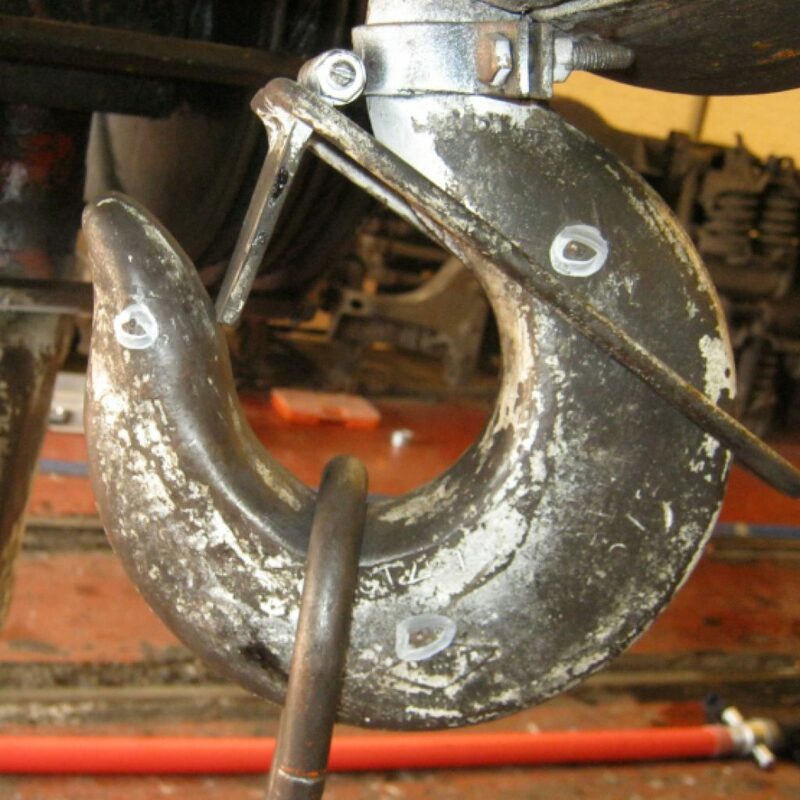 The best way to ensure this is for the hook to be fitted with a safety latch to bridge the throat opening but this isn’t the only method as the users could splice a small piece of rope across the throat of the hook, this is known as “mousing”. Note that the above requirements are applicable to only the hooks that support a load in a direct-pull configuration where the load is carried in the base (bowl/saddle or pin hole) of the hook. These requirements are not in the chapter that is applicable to hooks that do not support load in a direct-pull configuration, such as a grab or choker hook. ANSI/ASME B30.9- 2006 Slings does not specifically address the requirement of latches on hooks used on slings. 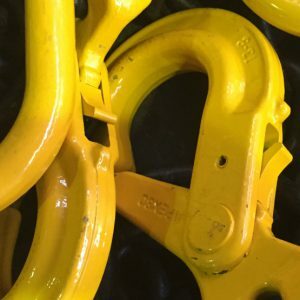 It consistently refers to B30.10 for hook component characteristics, removal criteria, and repair, of chain slings, wire rope slings, synthetic rope slings, synthetic webbing slings, synthetic round slings. As you can see it can be confusing to determine when a safety latch must be used but it’s really about being sensible and safe and a safety latch doesn’t guarantee that. You do that by making sure you’re using quality products, your staff are well trained and you have proper work procedures. If for example the oblong of a sling doesn’t seat completely into the crane hook, no safety latch can make it safe to use and sometimes we get caught up in the specifics while missing the bigger picture.